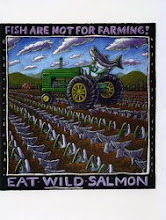 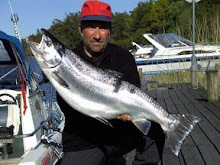 Todays fishing was very slow, nothing happened before 3 PM. 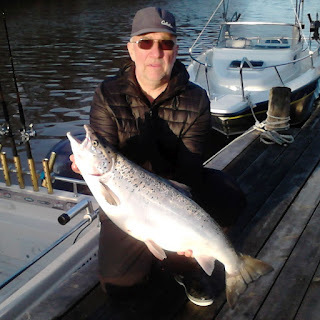 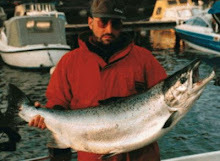 Then I got first a small one , followed by a fettfenna and finally a nice salmon of 7.2 kg. 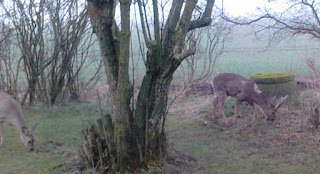 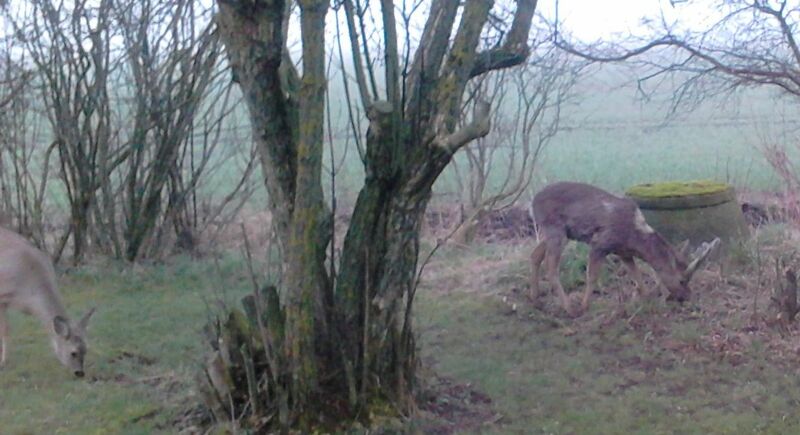 In the morning we had some Roedeer visiting our garden eating the fresh grown flowers. 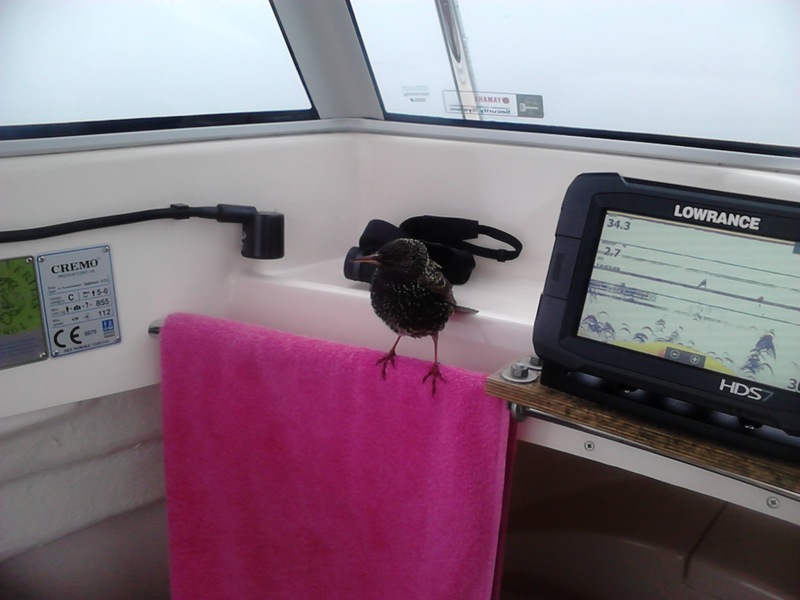 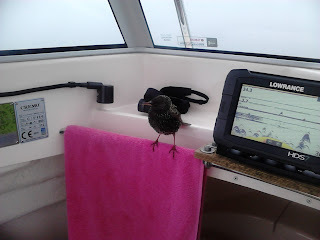 During the day that small bird was fishing with me for almost 4 hours.